Have you ever wanted to try bonsai? Here’s your chance! 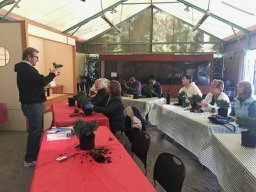 Get your hands dirty in this interactive class as you learn about the art of bonsai. You will have the opportunity to create your own juniper bonsai to take home, along with the knowledge of how to care for it – a great keepsake of the day that, with your loving kindness, you will have for years to come! 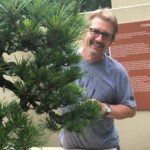 This class is designed for novices of all ages looking to create their first bonsai and have a fun afternoon among the trees of Pacific Bonsai Museum. All materials included. Participants under the age of 16 must be accompanied by an adult. Please email shayla@pacificbonsaimuseum.org if you would like to be put on the waitlist. Thank you!